One thing that stands out about the island of Lefkada, or Lefkas, is its natural beauty. Beaches on this island are continually listed as being amongst Greece’s best, and much of the island’s draw is concentrated on its coast. As a result, there is no shortage of things to do while here – especially if it somehow involves the ocean. What is your ideal beach experience? Whether you enjoy lounging on a chair while soaking up the sun or prefer something a little more active, Lefkada has something for you. 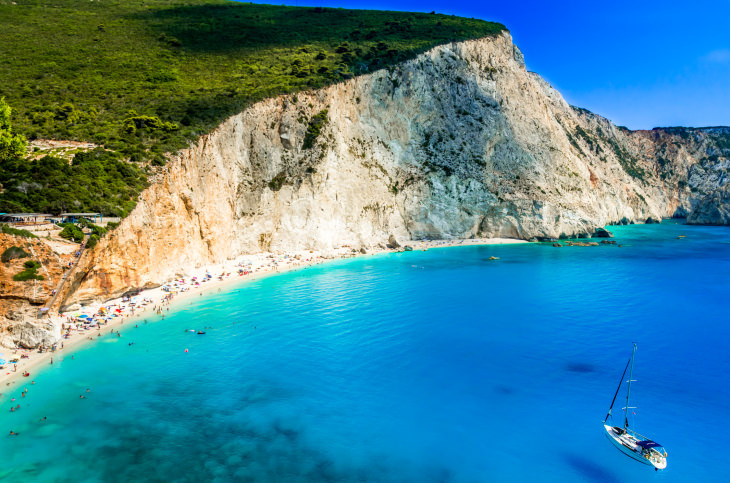 Beaches such as Eggremni, Milos, and Agiofilli constantly draw beach goers from all over the world. In fact, if you’re traveling during peak season, expect to brave the crowds! Since these beaches are so well known, you’ll have to arrive early in the day in order to secure a spot to lounge. Another thing that people love to do while on this island is sought out more active pursuits. Boating is fairly common and even if you don’t want to pilot the boat yourself, you can still explore the island by boat by taking an island boat tour. This is the best way to explore some of the coastline that you can’t otherwise access by foot. Other active pursuits include diving, snorkeling, windsurfing, and even kite surfing! If you do visit Lefkada to enjoy some of its beaches, you can either stay in small, family owned hotels or one of the larger beach resorts. No matter which you choose, you’re sure to have a great experience. Like much of Greece, Lefkada is known for its hospitality. They love their island and will go out of their way to help you appreciate it, as well. The benefit to staying in a resort is that they tend to be fairly self sufficient, which gives you the option of taking advantage of the resort facilities. While visiting Lefkada, you’ll also want to make sure that you experience traditional Greek culture. When possible, learn where the popular local spots are and make sure to visit them at least once. 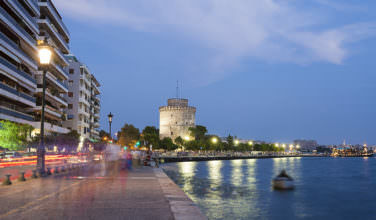 If you love nightlife, try to stay close to Lefkada city, which has plenty of bars and clubs to enjoy after the sunset. It’s also easy to have a great meal here. Food here is similar to the rest of Greece, with just a few regional differences. They’re particularly known for their seafood, so be sure to visit a seafood restaurant when you have the chance. Wine is also a big part of the culture here. There are wineries throughout the island, and many of them source their grapes from local sources, or they simply grow their own. The wines range from dry red to extremely sweet white, with everything in between. When possible, order the local wine at restaurants when you eat, and be sure to take a few bottles of it home so that you can remember your trip. 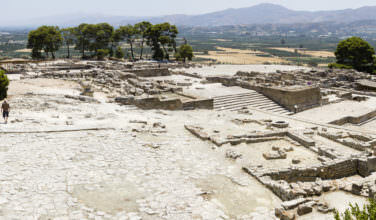 Many of these wineries are fairly young, and they all give Greece a share of the global wine market. 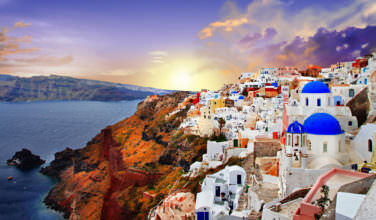 No matter what you decide to do in Greece, one thing that you’ll always remember is its stunning scenery!